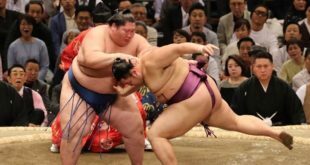 Le yokozuna Kakuryu a remporté une nouvelle victoire mardi et reste invaincu avec six autres lutteurs. 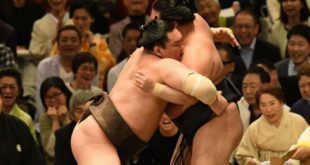 Kakuryu (3-0) a pris l’avantage au moment de la charge contre le maegashira Tamawashi (2-1), en poussant son compatriote mongol en arrière avant de le gifler pour s’assurer une troisième victoire consécutive. 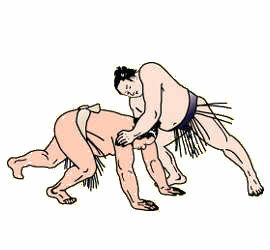 Le grand champion, qui souffre de douleurs aux doigts à la main droite depuis le précédent tournoi, est le seul yokozuna à prendre part au championnat après les retraits de Hakuho et Kisenosato. 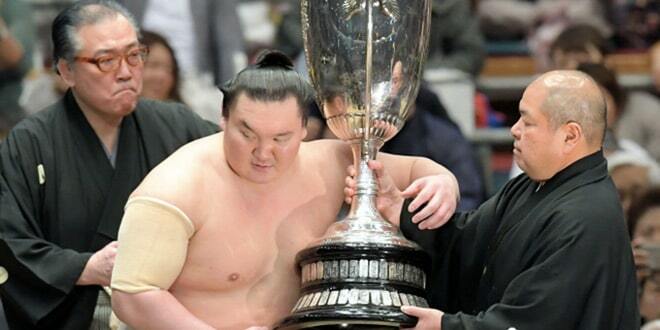 Le champion de janvier, Tochinoshin (2-1), qui se bat pour la première fois en tant que sekiwake depuis juillet 2016, a vaincu le maegashira 3 Kotoshogiku (1-2). Le Géorgien, qui avait remporté seulement six de ses 30 rencontres face à l’ancien ôzeki, a presque soulevé les 178 kilos à plusieurs reprises avant de forcer son adversaire à quitter l’anneau. Le komusubi Ichinojo (3-0) a également décroché sa troisième victoire après une longue immobilisation avec Takarafuji (0-3). 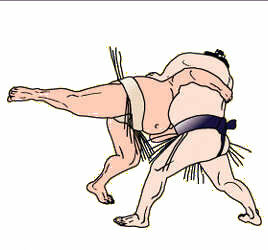 Le maegashira 2 ne pouvait tout simplement pas bouger le mongol, et Ichinojo a utilisé ses 47 kg supplémentaires pour lentement repousser Takarafuji. Un jour après avoir fait peur à Kakuryu, Endo (2-1) a rapidement battu Mitakeumi (2-1), en frappant le sekiwake au moment de la charge, puis en le déséquilibrant. Après avoir donné une forte gifle à Chiyotairyu (0-3) avant de s’entrechoquer, Goeido a obtenu une prise solide sur le komusubi et l’a rapidement poussé pour obtenir sa deuxième victoire. 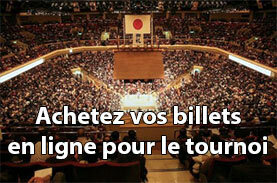 Arawashi (0-3) a presque échappé à une troisième défaite consécutive lorsque Takayasu (1-2) l’a basculé après la charge. Mais l’ôzeki a maintenu son équilibre avant d’envoyer le maegashira par-dessus les ballots de paille. 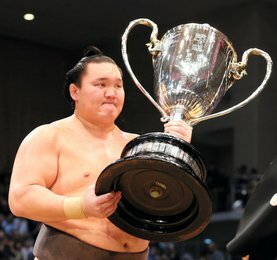 Takayasu a remporté sa première victoire aujourd’hui. Cinq autres lutteurs sont toujours invaincus après le troisième jour, dont Shohozan, Kaisei, Chiyonokuni, Ikioi et Aoiyama. 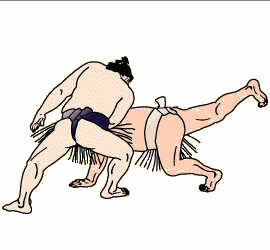 En division juryo, Takanoiwa, a subi sa première défaite. 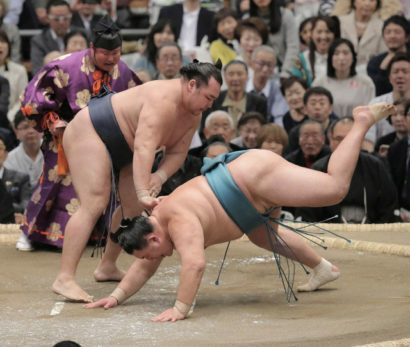 Yokozuna Kakuryu picked up another victory on Tuesday to remain undefeated on the third day of the 15-day Spring Grand Sumo Tournament. 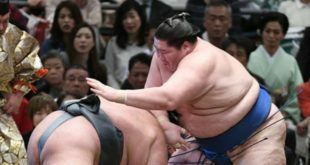 Kakuryu (3-0) got the better of the initial charge against top-ranked maegashira Tamawashi (2-1), shoving his fellow Mongolian into a backwards slide and slapping him down for a third-straight win at Edion Arena Osaka. 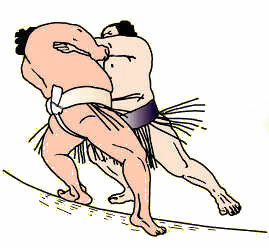 January’s champion Tochinoshin (2-1), fighting as a sekiwake for the first time since July 2016, came back from his first defeat on Monday to beat No. 3 maegashira Kotoshogiku (1-2). 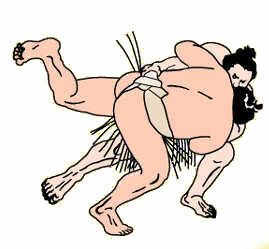 The Georgian, who went into the match having won just six of their 30 career encounters, nearly lifted the 178-kilogram several times before forcing the former ozeki from the ring. Komusubi Ichinojo (3-0) also notched his third win after a long standstill with winless Takarafuji (0-3). The No. 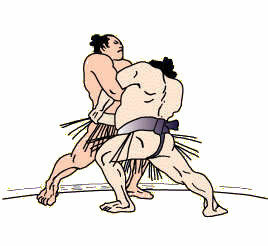 2 maegashira just couldn’t budge the hulking Mongolian, and Ichinojo used his 47-kg weight advantage to slowly inch Takarafuji from the ring. 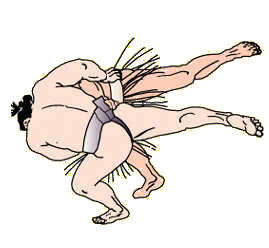 A day after giving Kakuryu a scare, top-ranked maegashira Endo (2-1) scored a quick victory over Mitakeumi (2-1), slapping the charging sekiwake down in a moment of unbalance to hand him his first loss. 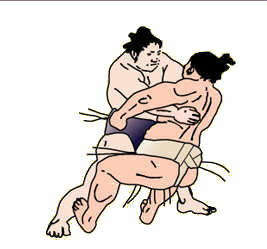 After giving Chiyotairyu (0-3) a sharp slap before colliding, Osaka-native Goeido (2-1) got a solid arm hold on the recently-promoted komusubi and quickly thrust him down for the ozeki’s second win at his home venue. No. 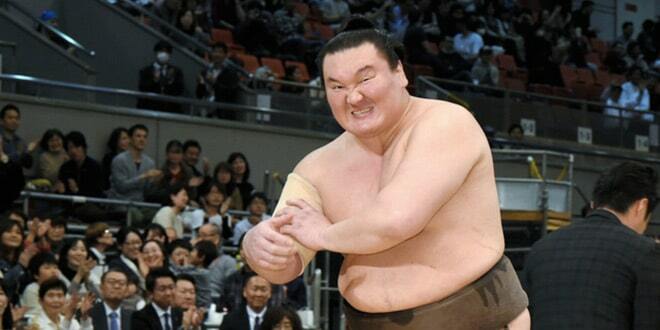 2 Arawashi (0-3) nearly escaped a third straight defeat when Takayasu (1-2) almost toppled after a charge. 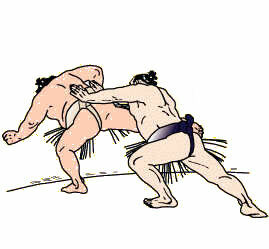 But the ozeki maintained his footing and issued a shove that sent his opponent over the straw bales. Takayasu, who went 12-3 in January’s tourney, earned his first win here and a fourth in four career meetings with the Mongolian. Five other wrestlers are still undefeated after the third day, including, No. 4 Shohozan, No. 6 Kaisei, No. 10 Chiyonokuni, No. 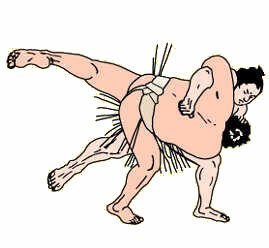 14 Ikioi and No. 17 Aoiyama. 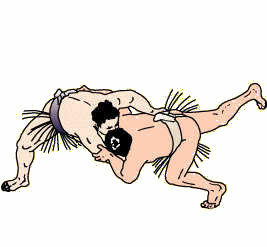 In the second-tier juryo division, Takanoiwa, the wrestler who suffered head injuries in an October assault by former yokozuna Harumafuji, suffered his first defeat and sits at 2-1.